The University of Plymouth has forged a partnership with the Economic and Social Research Council (ESRC) which will see it expanding its role in a major national festival taking place this autumn. The ESRC stages the Festival of Social Science every November, with the aim of enhancing public engagement with academics and social science research. Plymouth was among the universities to participate in 2014, with academics organising a number of events on topics ranging from the General Election to the criminal justice system. But it is now set to increase its involvement for 2015 after signing a Memorandum of Understanding with the ESRC that will see Plymouth become one of 11 regional festival centres. The 2015 ESRC Festival of Social Science will take place from November 7-14, and as part of the new agreement Plymouth will deliver a diverse programme of events which support the festival’s aims and objectives. These include encouraging social science researchers to engage with non-academic audiences, increasing awareness of the contribution social science research makes to wellbeing and the economy, and making teachers and young people more aware of their work. The events must be free and engaging and target young people aged 14-18, the general public, business professionals, policy makers or the third sector. As part of the agreement, the ESRC have committed £5,000 to support festival events in Plymouth (which will be match funded by the University) and academics, potentially in partnership with community, will be able bid for a share of that money to stage their proposed event. The ESRC is the UK’s largest funder of UK social science research, and celebrates its 50th anniversary this year. 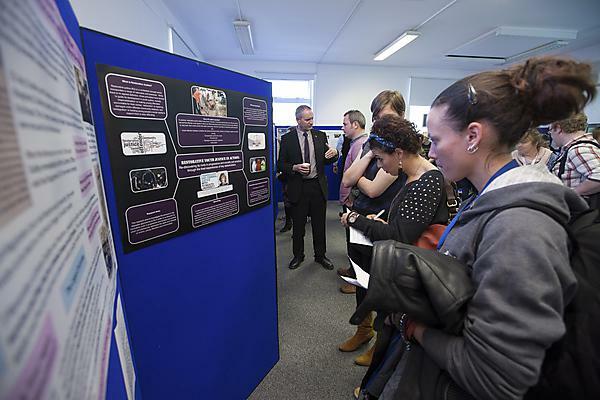 The 2015 Festival of Social Science provides an opportunity to demonstrate what a difference social science has made to society over the last half-century, both in the South West and around the UK.